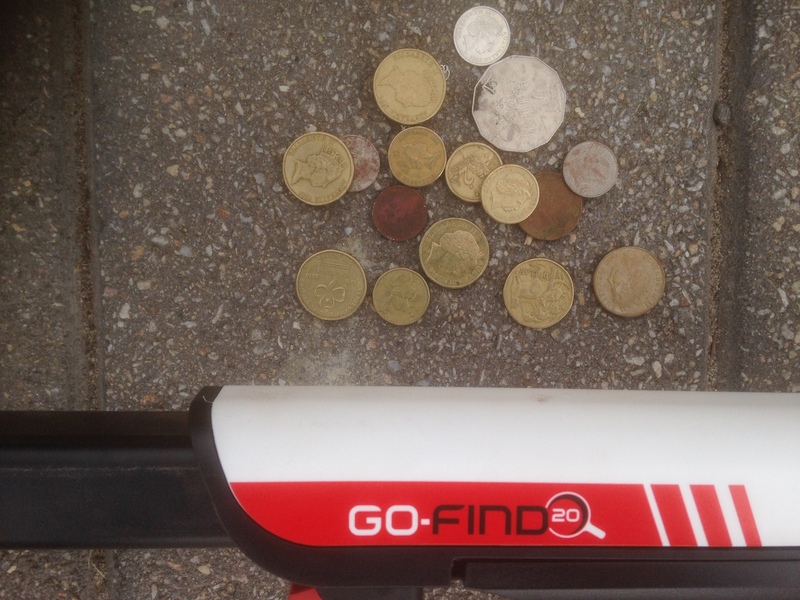 My first time out with the GO-FIND20 for an actual detect after field testing for some time was actually a lot of fun. Admittingly it was hard to take off my CTX3030 hat and see the machine for what it is, a fantastic entry level detector that will be great fun for all the family. I could easily see many people appreciating not only the ability of this coin/relic machine but also its affordable price tag. 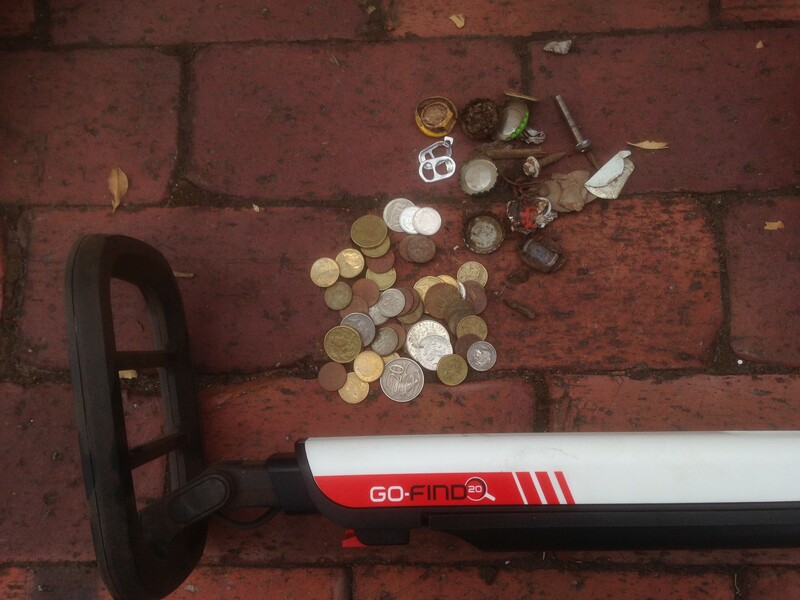 After a succesful hunt in one of my favourite go to spots for detecting shallow coins I decided on a bit of an outing with my lovelly wife (aka Mrs Marksman) to see what she thought of the GO-Find20 in a playground setting. Her first impression was that she liked that it was compact,light and easy to carry. 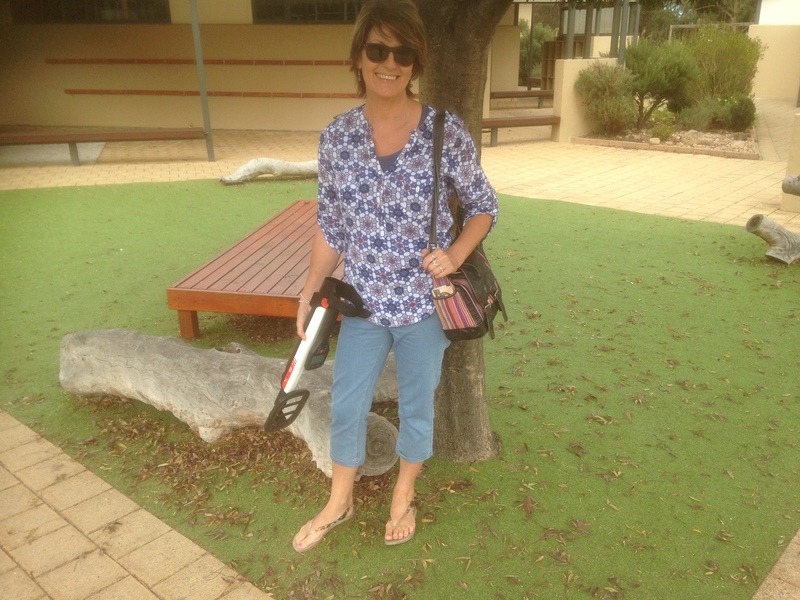 Having the ability to fold up and telescope together has made it simple to carry the GO-FIND series with you anywhere as you can see in the picture below with Mrs Marksman with her detector in one hand and her handbag in the other. The video below is basically my wife detecting pretty much for the second time ever and it wasnt long before I realised that she wasnt going to give the GO-FIND20 up very easily as she quickly got the hang of it and started finding coins.